One of the Internet's First Fishing Sites! Since 1993. FISHING STORIES AND FUN:Fishing’s Urban Legends and Stories, Animation, and other silliness. SHOPPING:Get you COMBAT-FISHING® Logo gear, books, and hundreds of fish and wildlife artwork designs. Welcome to the Combat-Fishing ® homepage, dedicated to providing fun and information for the recreational angler and outdoor enthusiast. Here you will find detailed information on an ever-expanding list places to travel to and fish. Also, this page endeavors to provide information on nature and ecology for the outdoors enthusiast any anyone who seeks knowledge. My Philosophy: Any trip (even a business trip) can become an outdoor adventure! All IMAGES, TEXT and STORIES on this and succeeding Combat-Fishing® pages (c) 1993 to 2015 Bryce L. Meyer....ALL RIGHTS RESERVED. The Term "Combat-Fishing" is a federally registered trademark. 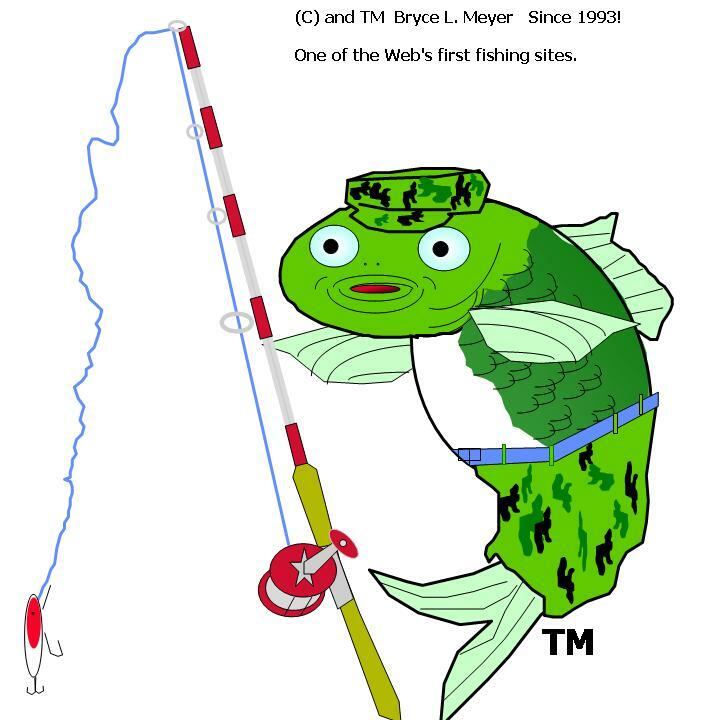 The 'Fish and pole in camo' image is a trademark too.